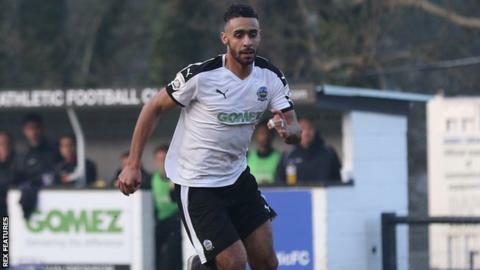 Barnsley have signed striker Stefan Payne from National League side Dover Athletic on an initial two-year deal with the option of an extra year. Payne, 24, has scored 33 goals for Dover since joining them in 2014 from non-League side Hornchurch. Barnet captain Andy Yiadom also joined Barnsley on Monday on a two-year deal. "Stefan is someone who he has all the right attributes as a striker," caretaker head coach Paul Heckingbottom told the club website.